Teachers fail the faithful test! Teachers are scoring points for infidelity, but flunking the monogamous class. 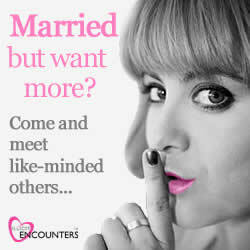 More teachers have signed up to the UK’s extra-marital dating site IllicitEncounters.com this summer holidays than ever before. The affairs site has seen an increase of 128% in the number of those working in Education having signed up to the site in the months of July and August. Evidently teachers have been seeking out extra-curricular activities this summer, of the illicit kind. It may be that teachers simply have more availability in the school holidays then most other occupations, and find the time for a like-minded lover to keep them busy. The spouse of a teacher could be working a regular 9-5 job that does not grant them the same freedom, leaving teachers alone a lot of the summer. All that spare time and nobody to spend it with can easily lead to the temptation of a summer fling, and with their spouse working it’s much easier to keep a forbidden romance under wraps. Biology teacher Melissa, an active member on the site said “During term time I am very well behaved, I’m good at my job and I’m good to my partner – I also feel motivated and fulfilled during this time. “Everybody knows rules were made to be broken”, said Claire Page spokesperson for IllicitEncounters.com. “and nobody knows that better than teachers! It’s obvious why there’s a spike in teachers cheating – schools out for summer and it’s adult playtime in the playground of illicit encounters.